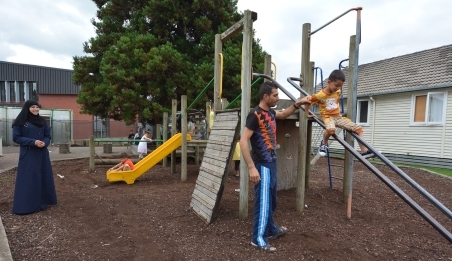 If you're a former refugee and you live in Canterbury you may be able to have free (no cost) GP or nurse visits (consultations) for your first five years in New Zealand. asylum seeker, with a letter of acknowledgement of your application. be enrolled with a Canterbury GP practice. Children under 14 don't have to pay to see a GP or nurse under the Zero fees for under-14s scheme. your Immigration New Zealand letter, or Immigration and Protection Tribunal letter, to prove your refugee status and show that you have been in New Zealand for less than five years. your valid Community Services Card. you don't have a valid community services card. prescription fees at the pharmacy for medications. You can always ask the GP, nurse or pharmacist how much you will have to pay. Work and Income subsidies may also be available to you to help with your health costs including dental care and glasses. You can talk to Work and Income in Farsi, Hindi, Khmer, Mandarin, Cantonese, and Punjabi. If you have been in New Zealand for less than three years as a refugee and you have a valid Community Services Card you may be eligible for help with dental costs. Ask your Nurse or GP to refer you to a Partnership Community Worker, or email refugee.health@pegasus.org.nz. All GP practices in Canterbury offer free consultations to eligible former refugees. Find a practice where you feel comfortable. You can change GP practice if you move homes, or if you want to change. There's no cost to move to another GP practice. If you're having problems finding a GP practice, email refugee.health@pegasus.org.nz. You can have a free (no cost) and confidential professional interpreter for your appointment. Ask the receptionist about this when you book your appointment. Written by HealthInfo clinical advisers. Page created November 2018. Last updated December 2018.